T he Bronx is up, and the Battery’s down. But in the great state of New York, there’s sailing in every direction. 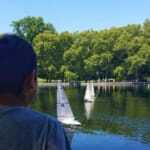 While perhaps not as strongly associated with sailing culture as some of the nearby Eastern seaboard states, New York is actually a huge sailing destination, offering a ton of variety. 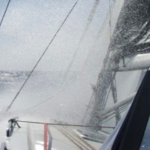 Just pick the kind of sailing you’re into (Open ocean? Wide bay? Serene rivers and lakes?) 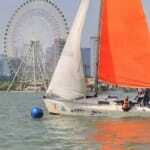 and then find an ASA sailing school nearby! 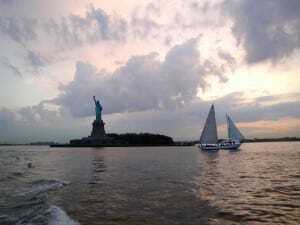 Where can you sail in New York? When you’re lost in the forest of skyscrapers on Manhattan, it’s easy to forget that it’s an island. 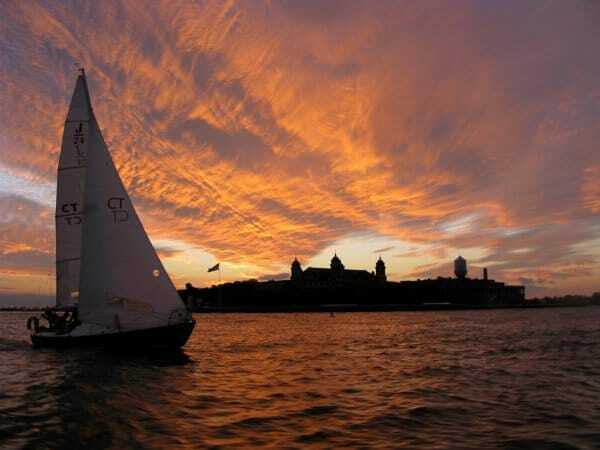 In fact, the whole city of New York is girded by navigable waterways with excellent sailing opportunities. There’s Hudson Bay and the Hudson River on one side, Long Island Sound on the other–and all kinds of nooks and crannies to explore in-between. Water, water everywhere. 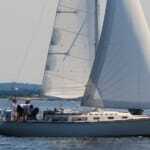 Upstate, you can find great sailing in Buffalo on Lake Ontario, and on a number of smaller lakes. And when you’re not on the boat, you’re in New York, with plenty to explore, including one of the world’s greatest cities, and natural wonders like Niagara Falls and the Catskill Mountains.